Final night indoors for the walking football, Despite the numbers we had missing, (thanks to all who contacted us to say they wouldn’t be there) it was a good turn out. Stevie Cargill bagged four goals on his debut, and the returning Jimmy Stewart and Stuart Cargill both grabbed a brace each. George Muir, after breaking his duck last week, also grabbed a brace, well done auld yin. Well done to all players who came tonight, it was great night of football. Men of the match were – Dave Beattie and Jimmy Stewart, both well deserved. Remember, we are outdoors next week with an earlier kick off time of 7.00 pm. Please give yourself at least 20 minutes to get through the guard room etc. Thanks. Don’t forget that our presentation night is on the 12th May. It would be a massive help if you could let us know if you’ll be attending or not. Our final indoor game for the season will be played this Wednesday (26th April), we’re looking for a decent turn out. 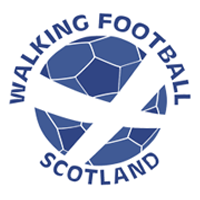 So, if you’re thinking about a lazy evening, forget it, get up to the walking football. Next Wednesday (3rd May) we are moving outdoors, the venue is the astroturf pitch at the Condor, the kick off time is 7.00 pm. Nothing has changed with regard to the checking in process, so please be there 20 minutes early. We are hoping that the softer surface will see an end to the niggly wee injuries. Great night of football on Wednesday. Bob Millar is still carrying an injury and still coming up to referee for us. It’s no easy task, hat doffed in Bob’s direction for helping us all out. We have one dedicated goalkeeper (Pete) and two who don’t mind a spell in goals, they all had good games on Wednesday night; Pete Bell, Dave Beattie and Mike Bell – well played lads. Dave Milne grabbed his 100th indoor goal. He’s a machine with an eye for goal and a great left peg, just to prove that his right leg is not just for standing on, he scored two of his 101 goals with it. But seriously, that’s some going, well done Dave. We’ll be down on our numbers next Wenesday (26th), this is due to players work and other commitments. If you can’t make it for the last indoor game, please comment or make sure you let myself, Ray or Mike know via the plethora of communication methods we have at our fingertips. Cheers. Special mention for Brian Wallace’s own goal. Well done, it was a peach. And let’s not forget Sye Webster’s hat trick, I’m sure he hasn’t told anyone about it. Good turn out last night, back to three teams. Thanks to all who came. Again, the teams were fairly even, no big scores and a few really close games. Mike Burnett broke his duck with a well placed shot, he was unlucky with a few other attempts as well. George Muir finally scored his first goal following a great pass from Jake Ferrier, he netted with the deftest of touches to put it out of the reach of the static Pete Bell. The crowd went mental. Dave Milne continues in his quest to score 100 before the indoor season is finished, he’ll be disappointed that he only scored 7 last night. Special mentions go to Jake Ferrier and George Muir, Jake for a great all round performance in which he scored 4 goals, and George for finally getting the goal he deserves. 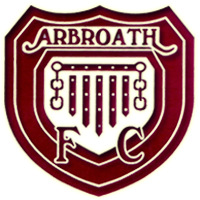 For our trophy presentation night, it has been suggested that we attend Arbroath’s relay for life event on Friday May 12th; the event is being held in the Legion and will include entertainment by Lochnagar, stovies, a half time draw, and I think we get to watch a game of football. Again, please leave your thoughts in the comments below, or on Facebook (Facebook comments get shown on the site anyway). As most of you know, we will shortly be leaving our indoor haven and going back outside to play, the nights are drawing out and the weather might even get better. We are trying to get us playing on a 3G astroturf/artificial grass pitch. The feeling is that the 2G sand based one is a bit too hard for our poor old joints, the number of injuries surely wasn’t just down to a poor warm up? Failing that, we will try and get playing on grass. 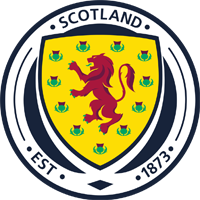 The following link gives details about the various artificial playing surfaces and is well worth a read. I noticed a one chap in the comments saying that he prefered the old 2G pitches due to the fast pace of the ball on the surface, he also said that the newer artificial surface (3G) slowed it down, thats exactly what we need. Anyway, have a read and leave your thoughts in the comments.